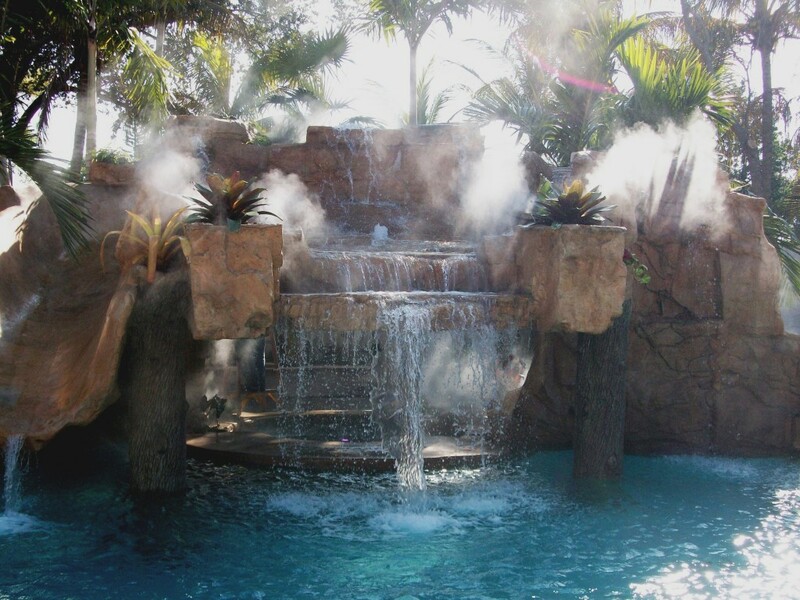 Waterfall fog effects/Misting System system installed at this Miami residence. This is an example of a Misting Direct brand fog effects system installed by Outdoor Cooling Systems in Miami. This entry was posted in Uncategorized and tagged fog essects, fog system, fogging, high pressure misting, mist, mist tubing, misters, misting, misting direct, misting pump, misting system, outdoor cooling system, outdoor cooling systems, patio misters. Bookmark the permalink.